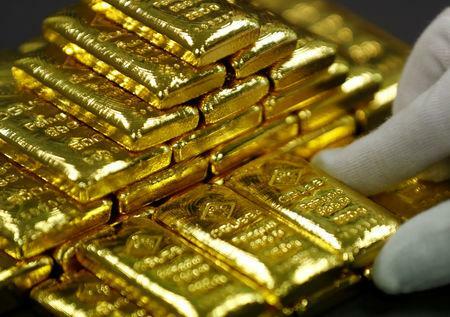 (Reuters) - Gold prices were steady on Thursday, having earlier hit their highest in nine months, after the U.S. Federal Reserve kept interest rates steady and said it would be patient on further hikes, keeping bullion on track for a fourth straight monthly gain. "The ongoing trend in precious metals markets continues. The much more dovish-than-expected Fed stance continues to support commodity prices across the board, weaken the dollar and support the precious metals complex as well," said David Meger, director of metals trading at High Ridge Futures. "The market now sees about a one-in-four chance of a 2019 Fed rate hike, while the curve is pointing to a small chance of a cut occurring as early as 2020," INTL FCStone analyst Edward Meir said in a note. Investors worry Washington's criminal charges against Chinese company Huawei and its chief financial officer could hurt the talks. Silver lost 0.4 percent to $16.00, having hit its highest since July 2018, at $16.19, during the session.